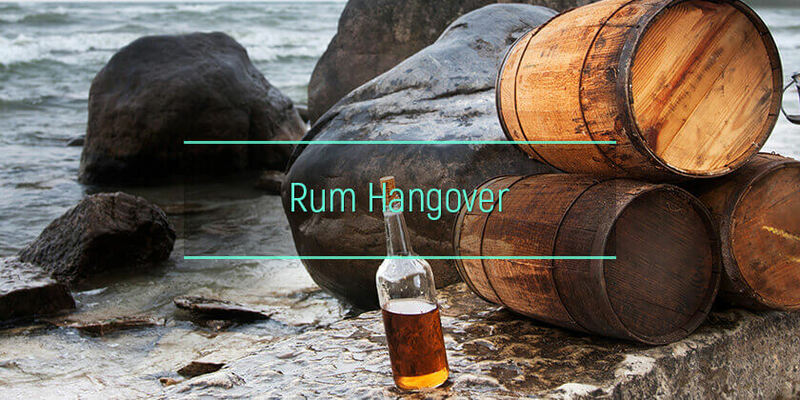 Rum hangovers are a common situation that occurs after consuming too much of it. Depending on the quantity one ingests, the crapulence may last several hours to a few days before resolving, impairing work and school performance consequently. How does rum cause hangovers? 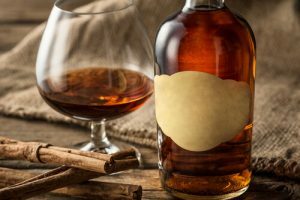 What are the signs and symptoms of rum after-effects? How are these symptoms different for light and dark rum? How much of it can cause a hangover? Can One Get Hangovers from Drinking Rum? One might wonder, will rum give a hangover? Yes, one can experience bad aftermath from drinking it, just as with any alcoholic drink. Depending on the quantity and type ingested, it produces varying symptoms, the duration of which also depends on the quantity and type one consumed. Rum crapulence occurs when one drinks too much of it. It usually occurs as a rebound syndrome when the alcohol content of the blood reduces or falls to about zero, similar to beer withdrawal. Dehydration: Dehydration is one common component of alcohol after-effect. It increases the excretion of water from the kidneys, increasing the rate at which one passes urine, making them prone to dehydration. Symptoms of dehydration include excessive thirst, dry mouth, weakness, fatigue, and lightheadedness. Gastric Irritation: Alcohol increases acid production in the stomach and erodes the protective mucosal covering of the stomach lining. This causes irritation and inflammation of the stomach lining, which manifests as abdominal pain and vomiting. Effects on the Blood Vessels: The drink causes the blood vessels to expand, increasing blood flow through them. This blood vessel dilation stretches the covering and nerves of the brain, causing headaches. Blood Sugar Reduction: Alcohol, when consumed in large amounts, reduces blood sugar levels, and when this reduces beyond a certain threshold, it causes shakiness, fatigue, weakness, faintness, and even convulsions in severe cases. Effects on sleep: Consuming large amounts of this drink impairs sleep. This is because excess amounts of it prevents one from reaching the deep stages of sleep, called REM sleep, leaving one feeling exhausted when one wakes up. Effects on the Immune System: Excessive consumption of an alcoholic drink could trigger an immune system response, which releases certain chemicals that stimulate appetite problems, memory disturbances, and mood changes. Toxic By-products: Alcohol, in excess, releases large amounts of toxic products that may mediate some of the symptoms, such as diarrhea. The amount of toxins released is a key difference between light rum and gold rum hangovers. These factors also define how long hangovers last in each person and the levels of its severety. In case the crapulence lasts too long and the symptoms are getting worse, ask for medical help. There are many treatment options for those abusing alcohol. Mood disturbances – depressed mood and anxiety. These symptoms are usually associated with heavy consumption and constitute a medical emergency. Alcohol drinkers who develop these symptoms during withdrawal may be suffering from alcohol poisoning. What is the difference between dark vs. light rum hangover? While both types may produce bad effects the next morning, the dark one is more likely to produce more severe symptoms. Consider the light one a good rum for no hangover. This is because of certain ingredients in this drink called congeners. Congeners are natural products of fermentation that confers the dark color in the dark type – and all dark alcoholic and distilled drinks, in general. Congeners also add more flavor to the drink. Examples of congeners are esters and aldehydes. The dark type contains more congeners than the light type, and the presence of these congeners increases the risk of and severity of withdrawal symptoms. In short, the dark type is the worst rum for a hangover. Since vodka has a low amount of congeners too, does vodka give you a hangover? Yes, it does, as well as the light low-congenered rum, but it depends on how much one consumes. It’s only logical – the larger the amount of alcohol one drinks, the more likely one develops these symptoms. All of the effects of alcohol on the body is amplified with the intake of larger amounts. The severity of symptoms also depends on the rum hangover rating of the drink. The alcohol content of the drink is key; that’s why white wine hangovers are not as bad as that associated with red wine. Some people have a much slower rate of metabolizing alcohol than others. In these people, the risk of this phenomenon is higher. People who are fast metabolizers of alcohol typically have less alcohol buildup in their blood. While some people may have crapulence, for example, others may not have any symptoms even after consuming the same amount. The presence of alcohol addiction will also play a role. Contact the rehab facility for alcoholics if noticed the signs of alcohol dependence. Dark alcoholic drinks contain more congeners than light ones, and having a drink of the dark type makes one more likely to have a miserable next day. So, light type mixed with soda may be considered the best rum for no hangover. There are different types of mixed drinks on the market, and these may worsen the symptoms. For instance tequila cocktail, which contains tequila mixed with high-sugar containing margarita. This combination takes one far off from a tequila hangover cure, as the symptoms are often very bad. Same way, mixing rum with other distilled liquors or champagne increases the risk and severity of withdrawals. Also, tobacco smoking often potentiates a veisalgia when mixed with alcohol. Even mixing with other drinks with clear rum hangover index may worsen symptoms. Dehydration is one of the effects of alcohol on the body, and if one is not well hydrated before consuming it, it may worsen the withdrawal symptoms the following morning. How bad these symptoms also depend on whether one’s stomach is empty or full before drinking. Drinking on an empty stomach speeds up the absorption of alcohol from the intestines, speeding up the rate at which the symptoms evolve and how severe they are. Bad sleep after a heavy intake of alcohol may contribute to the severity of symptoms. Rum And Coke vs. Pure Drink: Which Has Worse Hangovers? Rum and Coke leaves one feeling worse than Pure form. This is because it’s of its high sugar content, which adds flavor to the drink, distorting one’s perception of how much alcohol one is taking. Consequently, the user drinks large amounts of the drink, increasing the risk of these symptoms. The absorption of alcohol in the gut caused by the sugar in coke also blunts the effect of alcohol, making one drink large amounts. Also, the high sugar content in Coke increases the risk of dehydration, worsening the symptoms. The best way to prevent bad aftermath is to avoid alcohol. However, if one must drink, one is advised to know one’s limits and drink in moderation. This way, one can be sure of getting no hangover from pure rum. While there is no specific rum hangover cure, by keeping oneself well hydrated and sleeping adequately after drinking, one is sure to keep these symptoms at bay.